Antonin Nenov, 500 R.Y.T., grew up in Eastern Europe having a deep interest in spiritual teachings. In 1990 Antonin moved to New York where he was able to practice various styles of yoga for the next 10 years. He went on to further his studies in India with A.G.Mohan and Indra Mohan. Antonin teaches a unique blend of yoga techniques adapted for the individual needs. 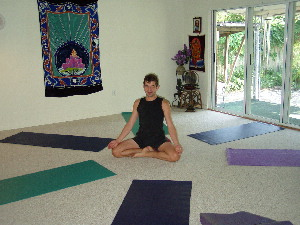 Antonin believes that yoga is a process leading to personal integration in all aspects of life.